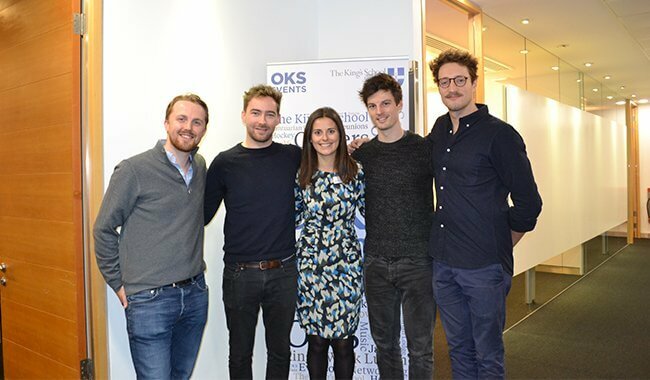 ‘Remember they are investing in you, not just your business’ was one of the many pieces of advice given by our panellists at the inaugural OKS Breakfast Networking event held on Thursday 22nd November at Simmons & Simmons in London. The topic of the event was ‘Tech Start Ups’, and the OKS panellists were Ed Newton-Rex (GL 2001 – 2006) CEO & Founder of Jukedeck, Leo MacLehose (LN 2002 – 2007) CEO & Founder of MatchPint Ltd., and Alex Gilmore (GR 2003 – 2008) an Investor at Active Partners. Ed & Leo bought their experience of founding & managing tech start up companies to the table, while Alex came from the angle of those making the investment. It was a fascinating event, which explored not only what it was like to found a tech start-up (from deciding that you wanted to work full time on your business, to how to go about getting investment) through to more complex discussions on the role of AI, and the fear of another dotcom bubble. The event was organised by OKS Millie Jessel (HH 2005 – 2010) & Oli Lyons (LN 2001 – 2006). The next event will be held in the new year, and will focus on the legal profession.